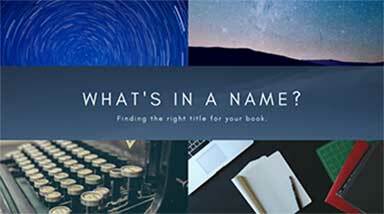 What’s in a name, and how do you choose the right title for your book? I intended to cover this topic in my last post, but I’ve been running into some issues with Cornerstone lately and it looks like most of the section I wrote didn’t end up going live. So, instead of crying over words that have slipped into the ether, I decided I’d just write another post to cover my recent decision to change the titles of my upcoming books. For those of you who’ve been following along, I was going to release the first book (or novella, depending on the length it finishes out at) in the Chlorophyllium Collection here pretty soon. The title of that work was Distant Worlds, with the following entry in the series titled as Final Hope. Recently, though, and after dedicating a lot of thought into the matter, I came to the conclusion that both of the titles actually better represented the ideas behind the other book. You see, Final Hope is the name of the ship where the first story takes place, and this corresponds perfectly with the first book. Likewise, Distant Worlds (which was supposed to be the title of the first book) better represents the story line and ideas of the second book! So, what’s the big deal? It’s just a name, right? Is it worth going back and changing the covers? Would anyone really notice? How could something so simple possibly impact the series that much? I’m not sure I have the right answers for those questions. I’ve read about several instances over the years where an editor has recommended title changes to authors, and many of those cases went on to see at least a modicum of success. So, it certainly stands to reason that book titles do matter. What I can tell you, though, is that the title change feels right. Maybe I feel this so strongly because I’ve been spending so much time recently going through rewrites and examining my characters and the story as a whole. Anyway, I apologize if this switch confuses anyone out there. The good news is that by the time the books release, this won’t really be an issue. And, hey, at least I’m coming up with this now instead of regretting my title choice after the books have already launched, right? Can you name the titles of some of your favorite books? If so, what do you think the title brought to the table in influencing your desire to read the book? Did it add a layer of meaning to the story?